Many organizations have more than one application running to support their business processes. This is often driven by the fact that multiple divisions within the same organization have their own requirement to run their day-to-day operations. The IT landscape can quickly become a monstrous beast that is difficult to manage and tame. The different systems generate a lot of data that is stored in a variety of different locations with a common problem that the business doesn’t know where and how to access the data. Digital enablement to modernize your IT landscape becomes slow and painful. The key to drive digital transformation is to have the ability to quickly access the data with minimum effort. 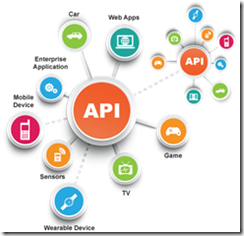 APIs can be accessed from anywhere on-premise and in the cloud. APIs can be easily found in a central repository a bit like a shopping basket. APIs can be configured to comply with the latest security rules like GDPR. APIs should be polymorph meaning that the back-end services to retrieve the data can be fetched with any preferred programming language. The throughput of requests when calling the API can be configured like throttling or rate limit to ensure back-end services are protected against DoS attacks. These are a selection of the key features to think about. The Oracle API Platform CS, released last June, is mature enough to support an API-led architecture. Read the complete article here.